This weekend’s adventures were mostly business related. I am applying for a California nursing license, and I decided it would be better to get my fingerprints done in state than mail a hard card. The closest fingerprint location was still about a 9 hour drive, so another weekend full of lots of driving, but hopefully it will be well worth it. I stayed a little over an hour outside of LA, and ended up spending most of the morning working on license stuff, so I had half a day to spend exploring and sight seeing. I decided to only do a few things and not try to squeeze too many things in so that I could enjoy myself and not feel rushed. 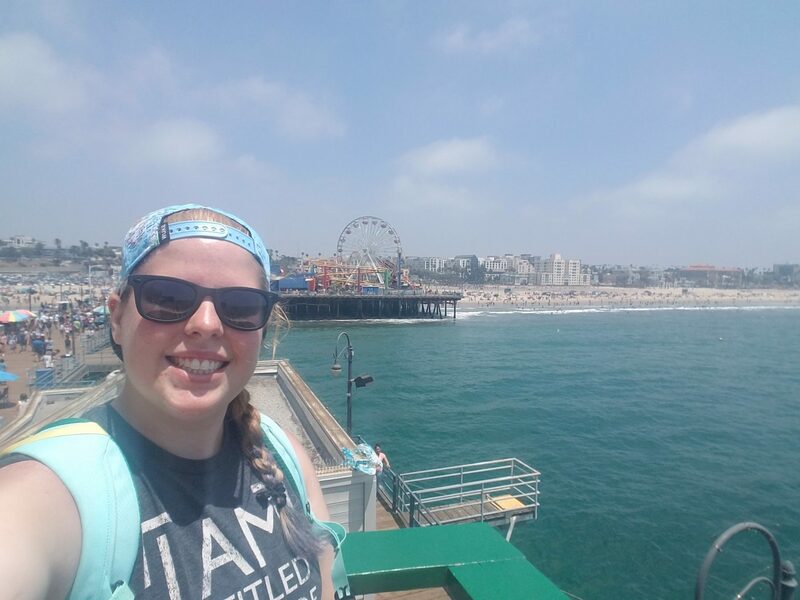 My first stop for exploring was the Santa Monica Pier and the beach. I spent some time walking along the beach and enjoying the pier. I have now been to the Pacific and Atlantic in the US, which was neat to experience. The beach and pier were both decently crowded, but there was still plenty of space to enjoy it without feeling too close to everyone else. There were plenty of spots around to pier to look out and enjoy the view of the ocean and the shore. The beach was pretty full close to the shore, but there was plenty of space to have set up a little further away and enjoyed the ocean. Since I was travelling solo and was short on time, I mostly just walked along the shore and enjoyed the view. After the beach I headed in to LA. I had thought about doing one of the museums in the area, but I didn’t want to mess up my evening plans by getting stuck in traffic afterwards. I wanted to see some improv in LA, and I decided on iO West as the theater I was going to see a show or two at. iO West is on Hollywood Blvd, so I decided I would spend the rest of the afternoon there. 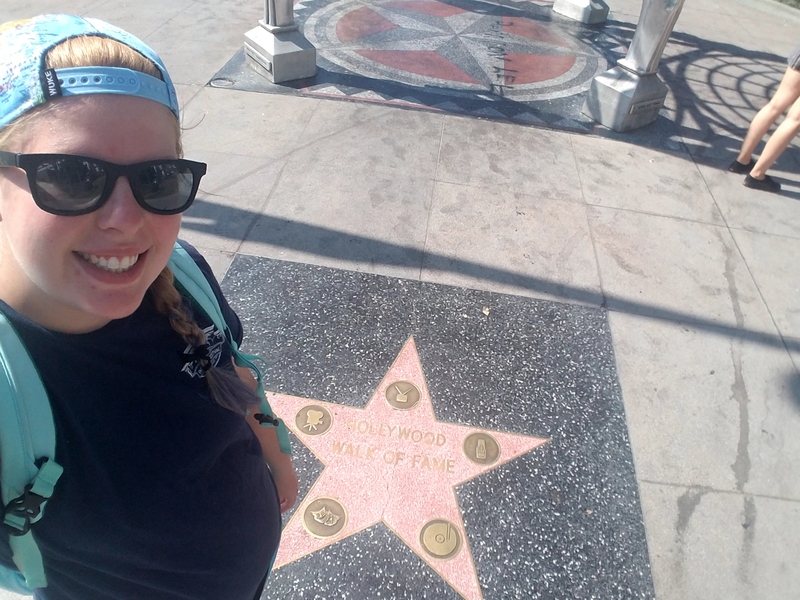 I walked and looked at stars along the Walk of Fame, but mostly I just enjoyed being in the city. I hadn’t realized how much I missed the energy and potential of being so close to so many other people and places. While I am definitely still enjoying my time on the rez, I was reminded this weekend of how amazing being in a city can be too. I finished off the night by seeing 2 shows at iO West. First, I saw a student showcase in the Del Close Theater. This was very different than what I expected. The theater felt more like a practice space, and there were exactly 2 of us in the audience. The show was free, and it was a fun show with an experimental form, but not exactly what I was thinking or expecting. The second show I saw was the Armando show on the mainstage. The theater was cozy, but I definitely enjoyed the show. The show and running times were definitely different than I have seen other places, but I still really enjoyed myself a lot.